Welcome to the cosmetic dentistry practice of Carter S. Yokoyama, D.D.S. in beautiful Kailua-Kona. Here you will experience cosmetic dentistry at its highest level. 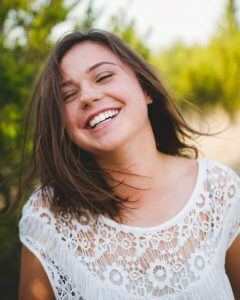 Whether you desire a complete smile makeover or are simply looking for the best general dental care to meet your needs, this is the place for you. Not only do we consistently provide the most modern dental care available, but we take great care to ensure that our patients feel relaxed and comfortable from the very first moment they enter our luxurious dental spa. 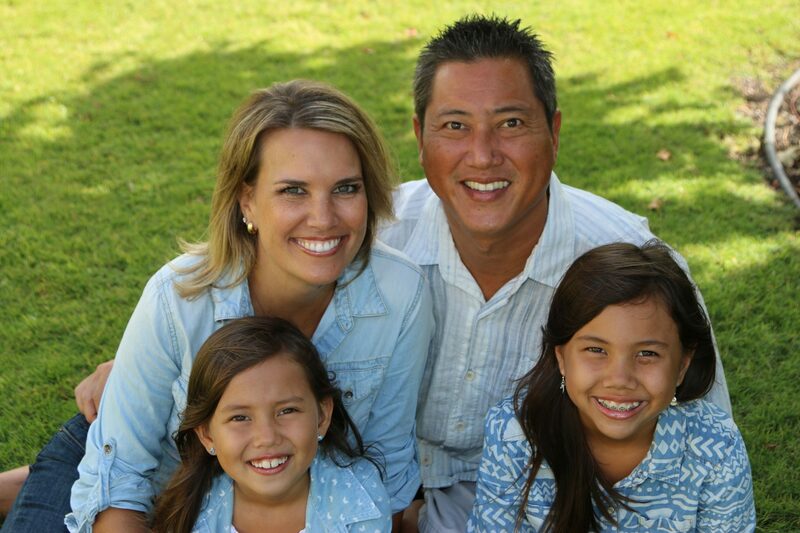 We at the Kailua-Kona practice of Dr. Carter S. Yokoyama invite you to learn more about our practice. Our purpose is to provide patients with a state-of-the-art dental practice that offers the highest quality comprehensive dental care possible in a safe, gentle and caring environment. We treat each of our patients with courtesy, respect and honesty and respect their individual goals and desires. We want you to enjoy your visits and feel happy, healthy and satisfied with our services. To be on time for your appointments and to keep you informed of any potential delays. To provide you with excellent dental care and make you as comfortable as possible during your visits. To stay on the leading edge of dental technology through continuing education. To offer you the individual time and attention you deserve. We will listen to your goals and work with you to accomplish them. To protect you by adhering to a high standard of infection control and sterilization protocol. To only recommend treatment options that we would choose for ourselves or our loved ones. To help you keep your teeth beautiful and healthy for a lifetime. Dr. Carter S. Yokoyama grew up in Honolulu, Hawaii where he graduated from Punahou School in 1984. He completed both his undergraduate studies and dental school at the University of Washington, in Seattle. He graduated from the UW School of Dentistry in 1992 and is licensed to practice in both Hawaii and Washington. Dr. Yokoyama is an active member of the American Academy of Cosmetic Dentistry and American Dental Association. He also is a graduate of Pac-live, the Pacific Aesthetic Continuum, the Seattle Institute for Advanced Dental Education and The Hornbrook Group. Each year Dr. Yokoyama attends numerous hours of advanced education to keep on the leading edge of dentistry and stay current with the latest materials and procedures available. Dr. Yokoyama also donates his time and talents to the Donated Dental Services Program, a humanitarian service for disabled, elderly and medically compromised people, as well as the Give Back a Smile Program, which helps restore smiles to victims of domestic violence. Every year since 2003, Dr. Yokoyama has been selected as one of America’s Top Dentists for cosmetic dentistry by the Consumers’ Research Council of America. 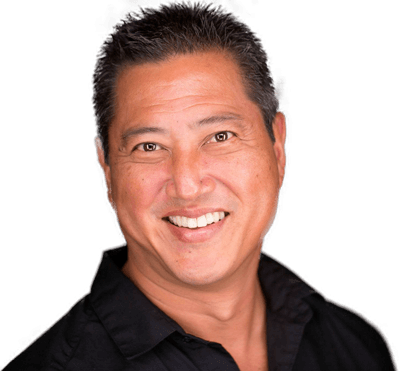 In 2009 he was also selected as one of the Top Dentists in Hawaii by the Honolulu Magazine; a prestigious selection made by fellow dentists in the state. Dr. Carter Yokoyama also has the special privilege of acting as a visiting faculty member for the Spear Institute for Advanced Dental Education. He was included in the elite group of dentists selected to help teach other dentists in the art and science of restorative and cosmetic dentistry at the Institute. In his spare time, Dr. Yokoyama is an avid surfer and football fan. He also enjoys free diving, hiking, traveling and especially spending time with his wife, Heather, and daughters, Tavi and Tia. He lives and works on a coffee farm in Captain Cook, HI which produces 100% gourmet Kona coffee. - Carter S. Yokoyama, D.D.S. If you are like most people, you are probably conscious of the need for cleanliness, disinfection and sterility in daily life as well in the dental office. Through years of intensive and ongoing training, dental professionals have learned and adopted techniques of infection control, which have become second nature to them. Our office is committed to TOTAL health and safety and adheres rigorously to the highest standards of prevention to protect you. For each individual patient, we use a wide range of disposable items, including gloves, masks, needles, paper drapes and tray covers, as well as plastic and foil barriers to protect against cross-contamination (spread of germs). Every patient is assured of a completely new and sterile set of these items. Your health, safety, and comfort are our ultimate concern. 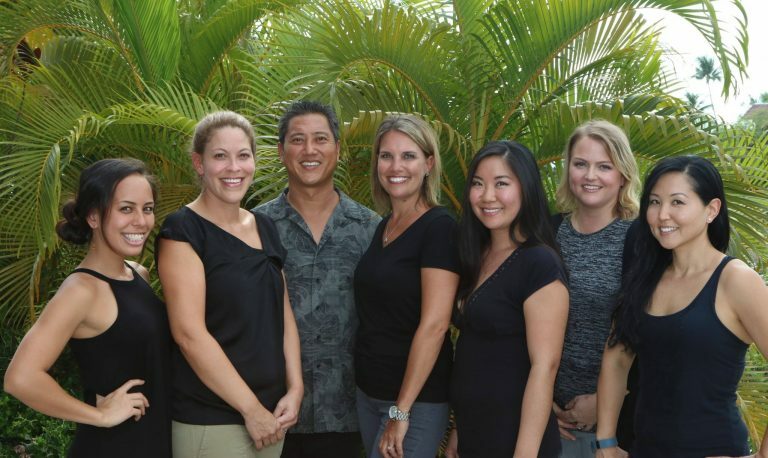 Patients at the Kailua-Kona dentistry practice of Dr. Carter S. Yokoyama always feel pampered and confident that they are receiving the very best care available. The individual attention each of our patients receives combined with the truly remarkable cosmetic and restorative dentistry results achieved by Dr. Yokoyama make for a truly enjoyable experience. If you are ready to join our team and learn how pleasant a trip to the dentist’s can be, we invite you to contact us today.